Switch to Bridgestone's e6 SOFT and feel what it is like to gain accuracy, distance, and a decisive advantage over the competition. 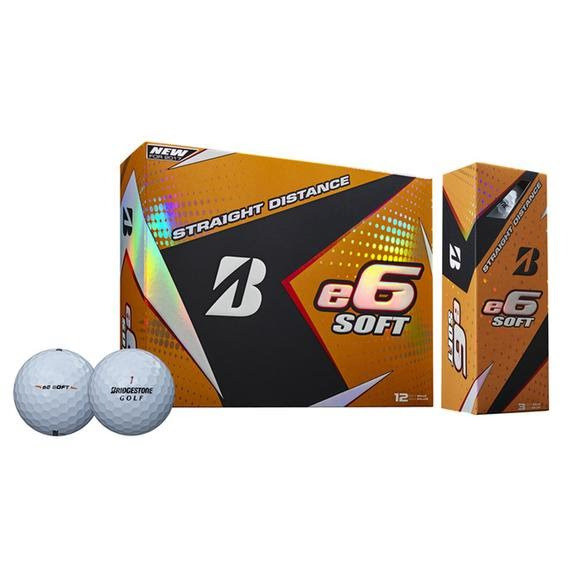 The e6 SOFT is a high-performance ball with a soft feel. It is designed to produce low driver and long iron spin for incredible straight distance. The advance mantle and cover work together to provide incredible approach and greenside performance. Switch to Bridgestone &apos;s e6 SOFT and feel what it is like to gain accuracy, distance, and a decisive advantage over the competition.